September is going to be one of the busiest months of my life. And October is shaping up to be about the same. 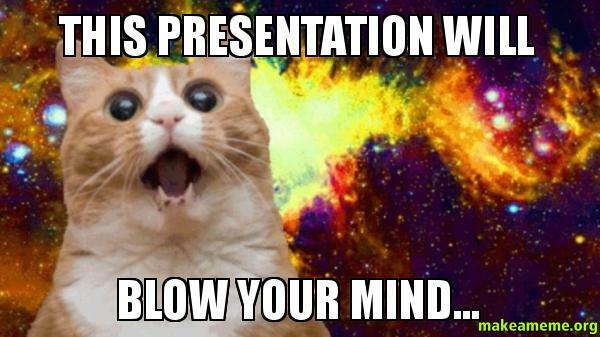 But, I’m super excited because it’s all because I’m doing lots of my favorite thing: presenting! And I hope you’re like this cat after you attend. But mostly I just thought this cat meme was funny. I’m hoping to see many of you virtually in one of two upcoming webinars and some of you in real life at the Weave a Tale Preconference in Kansas City, MO. Details below! I wouldn’t be doing my job as Joint Chief of Storytime Underground if I didn’t remind you that if you attend any of these you can earn a badge! !